Our therapy and course rooms are located in Shavington, Cheshire and are easily accessible from Crewe and Nantwich and surrounding areas such as Sandbach, Audlem, Congleton, Alsager, Holmes Chapel and Middlewich. 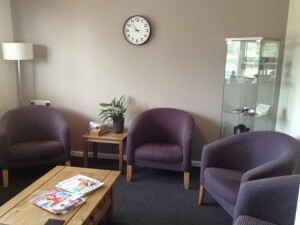 Our holistic therapy centre has two private therapy rooms available to rent. The rooms are suitable for a wide range of alternative, complementary and holistic therapies such as massage, aromatherapy, osteopathy, homeopathy, etc. The therapy rooms are ground floor, with on-site parking and refreshment facilities. Provided in the therapy rooms, are comfortable wide massage couches with adjustable backrests, CD players and also lamps for softer lighting options. Please note however, all therapists at the Navitas Centre are self employed. To ensure the best experience for our clients we do interview potential therapists. We also require all therapists to provide evidence of their qualifications, memberships of regulatory bodies and insurance. If you would like to talk to us about therapy room rental then please get in touch via the form below and we will contact you as soon as possible. What therapies do you offer?